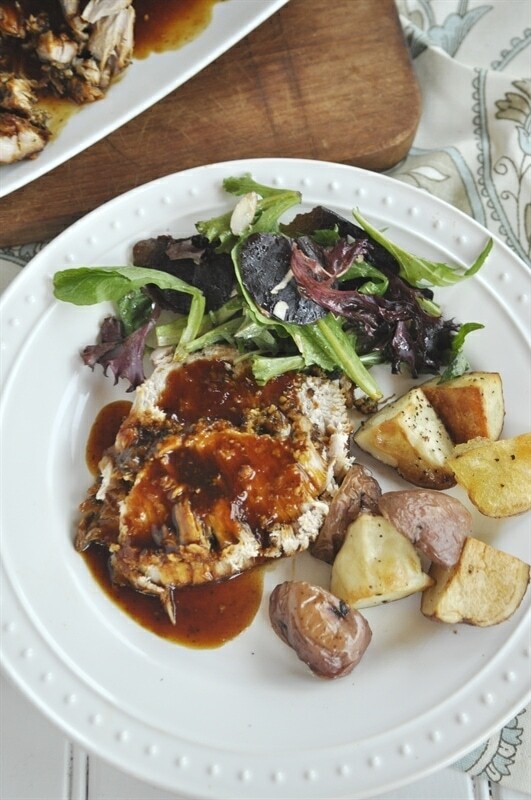 This recipe uses a pork loin roast. One of the things I love about pork is it relatively inexpensive so it is easy on the budget. My husband loves pork roast and since one of my girls is allergic to red meat so we eat a lot of pork. 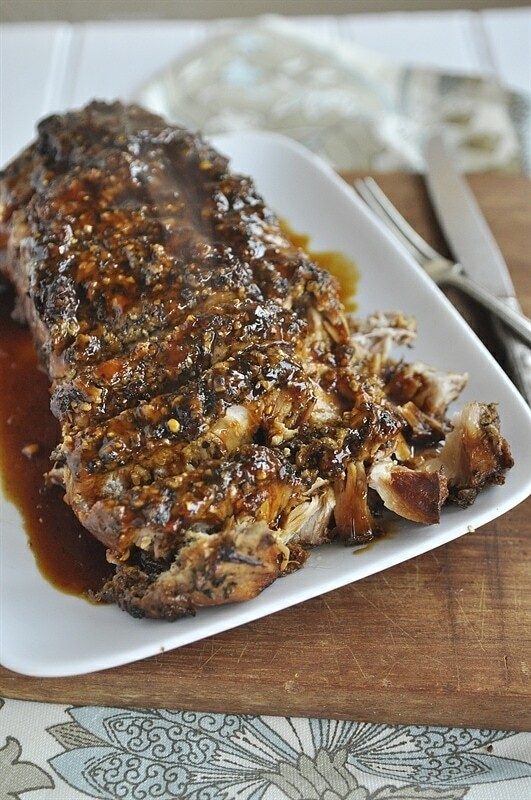 This pork cooks on low in the slow cooker for about 6 hours and when it comes out it is so nice and tender and just about falls apart on you. Before I put it in the slow cooker though I covered it with a mixture of parmesan cheese, honey, soy sauce, basil, oregano, garlic, olive oil and salt. 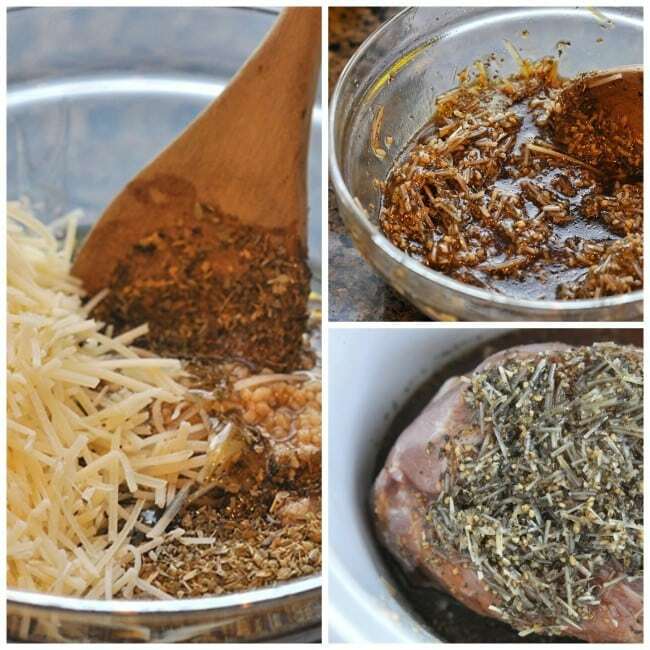 In a bowl combine cheese, honey, soy sauce, basil, oregano, garlic, oil, and salt. Pour mixture over the top of roast. Cover and cook on low for 5-6 hours or until thermometer reads 160 degrees. Remove meat and place on platter. Strain juices in slow cooker and put into a small sauce pan. Mix cornstarch and chicken broth together. Add into strained juices and stir until thickened over medium heat. 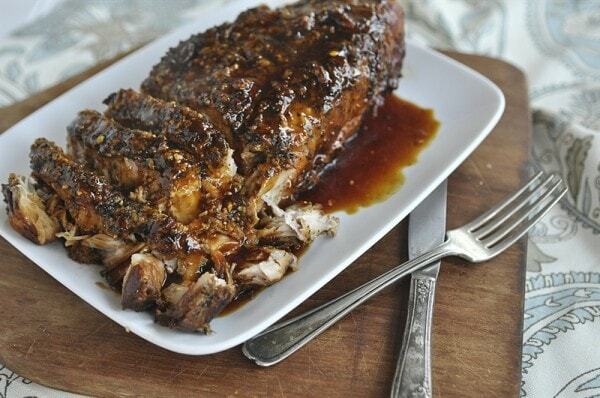 Slice roast and serve with glaze.